Welcome to the savage realms of RELICBLADE! 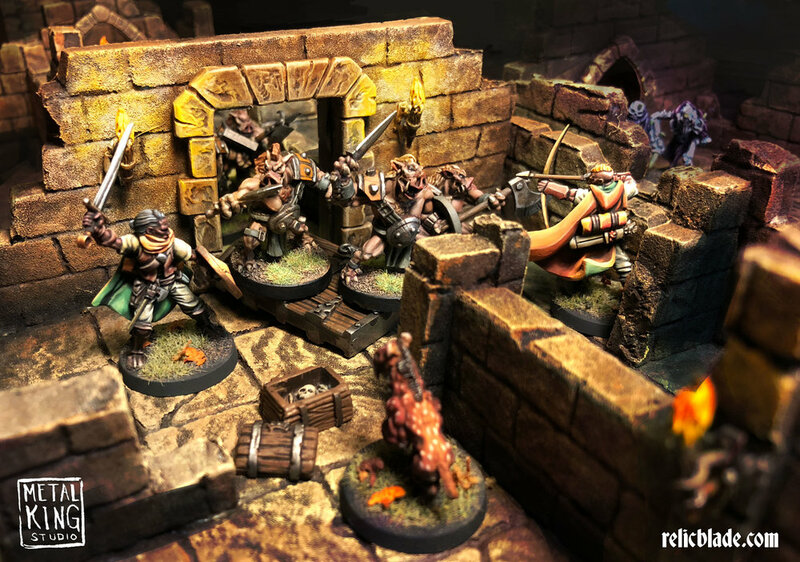 Relicblade is a dynamic miniature skirmish game set hundreds of years after the apocalypse of a mythic age. Enter this strange realm as a Seeker, a powerful extra-planar being. Use your influence to gather great heroes or powerful monsters to your cause. Delve into the vast ruins of the ancient world to claim your destiny! Will you fight to rekindle the light of civilization? Or will your warpath carve a dark domain in this world of chaos? Your fate is your own. Choose your path, Seeker! Learn how to get started playing Relicblade. Read about the various factions and lore of Relicblade. Relicblade is a tabletop adventure battle game. Players may choose to command villainous tyrants with their monstrous minions, or the heroic champions who seek to bring low the evil lords. 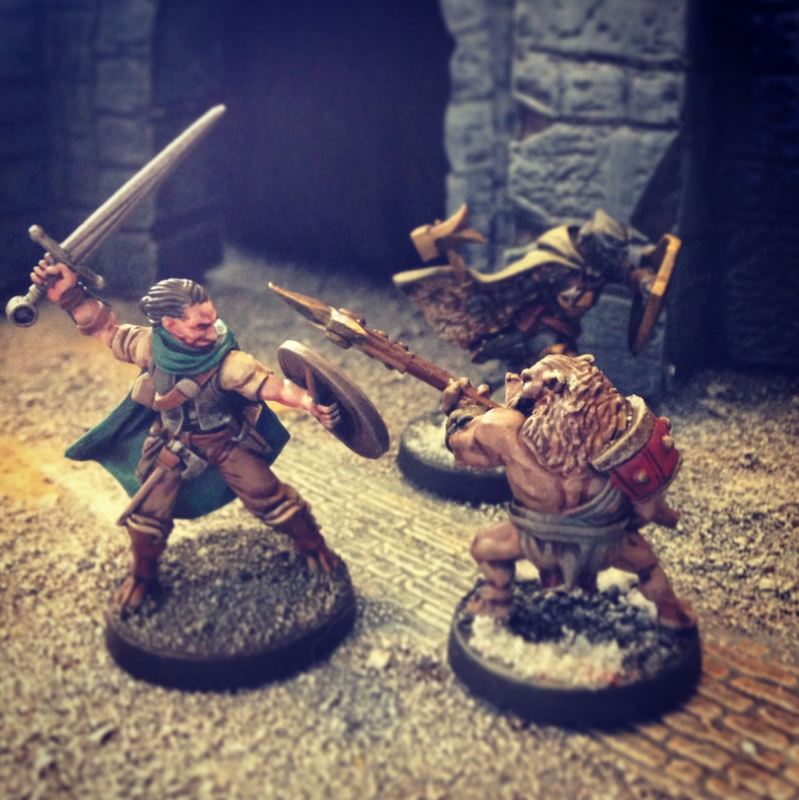 Relicblade combines the action of tabletop wargaming with the flexibility of tabletop role-playing games. Each player controls a group of characters as they battle in the ruins of the sundered world. Characters are represented by finely detailed 30mm miniatures accompanied by Character Cards that detail the character's unique abilities. From frozen ice caves in the far north, to vast coastal keeps, the adventure is limited only by your imagination. 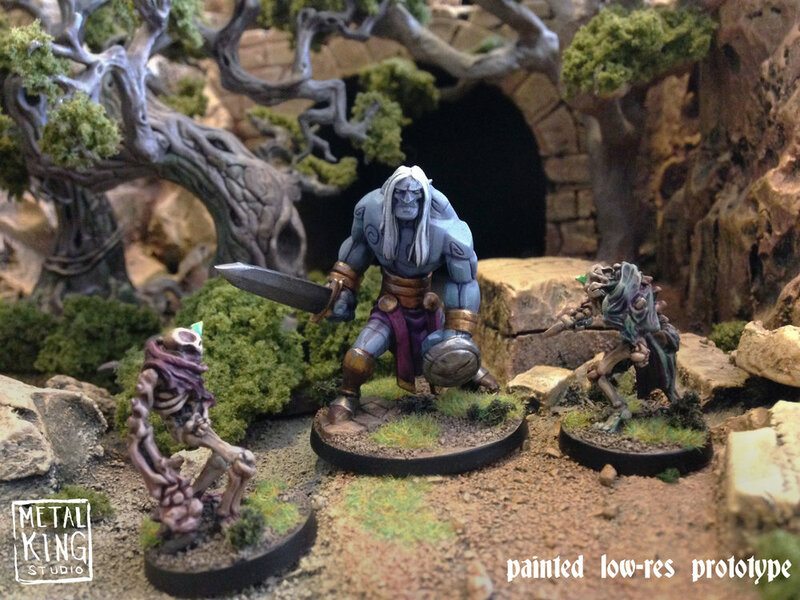 Relicblade is a fantasy tabletop miniature skirmish game. That description is quite a mouthful, and I wouldn't blame you if you still weren't completely sure what all of that entails! 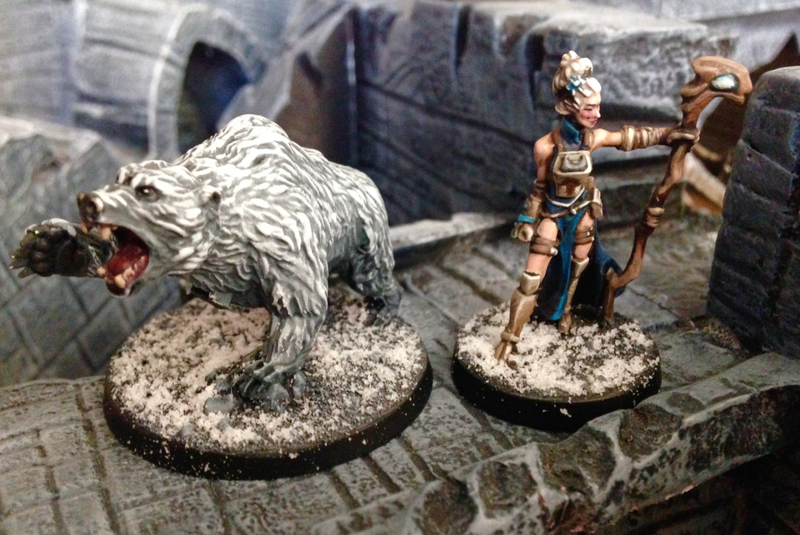 Players customize and paint their model kits, build immersive scenery, and play out epic adventures with their friends and rivals. I am a visual person. I do my best to use fancy words to explain Relicblade, but I think a pile of photos will be more fun. 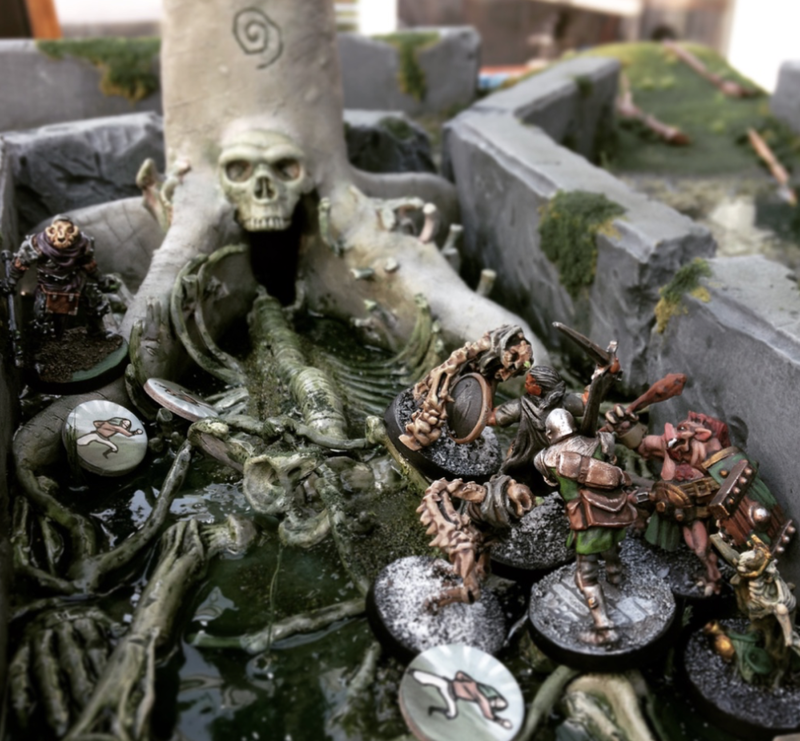 Here are some photos of the Relicblade hobby in practice! 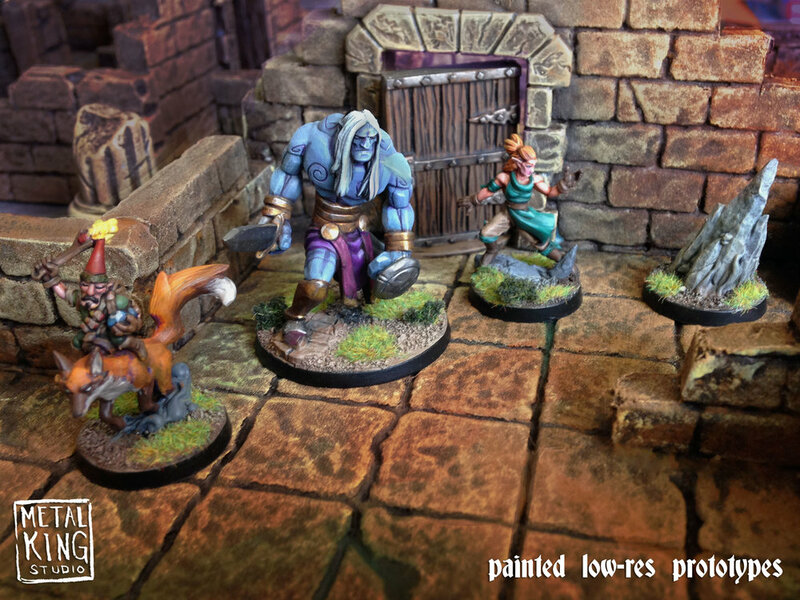 Games in progress, painted figures, and more. Take a peek at the adventure, get inspired, and start your own collection! A Lone Guard Warrior charges a Soldier Pig. 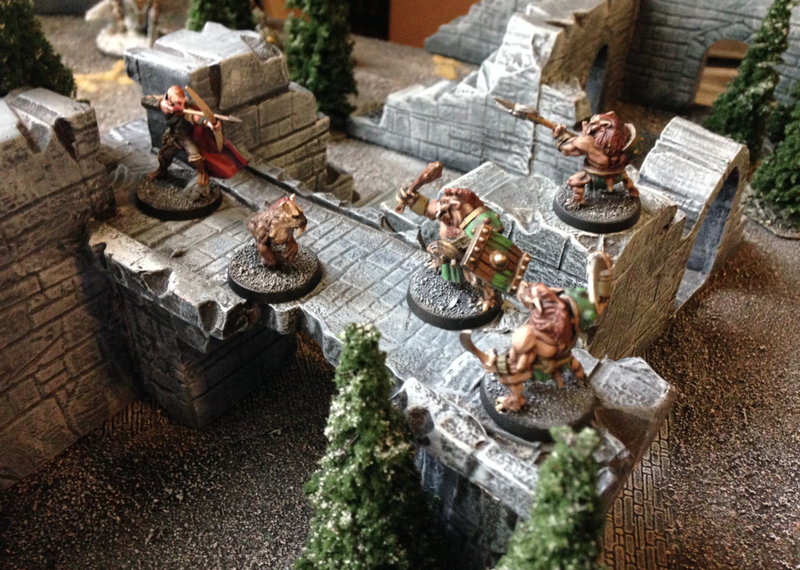 A Ranger and his Sabertooth cat face down a trio of battle pigs. 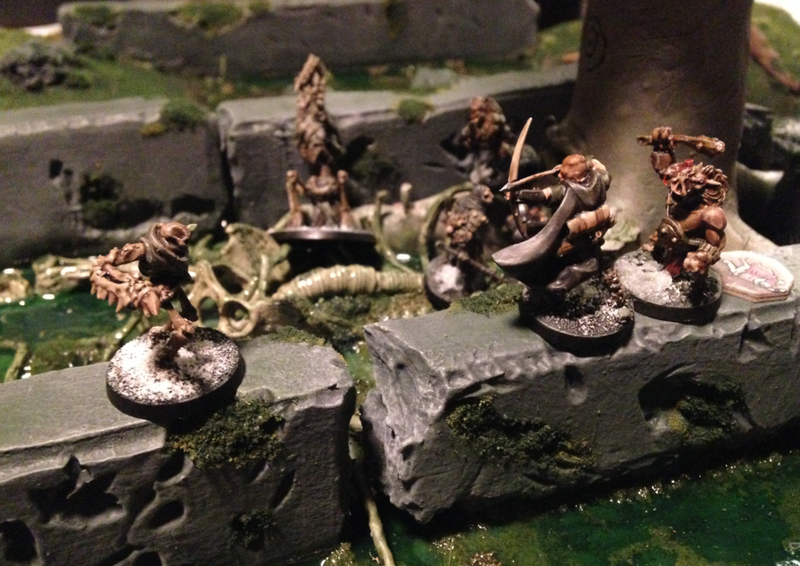 The Cleric charges up ancient steps to attack the brutal Pigs at the top. The Wilderkin explore an ancient tomb. Battle for a powerful relic found in the tomb of an ancient giant! A Dark Watcher surveys the battlefield from atop ancient ruins.